In the following examples for Active Directory clients on the intranet, a management point is installed on a computer named SCCM1, a fallback status point is installed on SCCM1, the site is named ABC, and the domain is seneej.com. fallback status point should be installed on SCCM server. Dsquery is a command-line tool that is built into Windows Server 2008 to find out the inactive computers or search criteria that you specify. Also we can use the dsmod and dsrm tool to disable or delete these objects at the same time. Pleases see below steps disable or delete these inactive objects after analyzing the computer.txt file. 2. 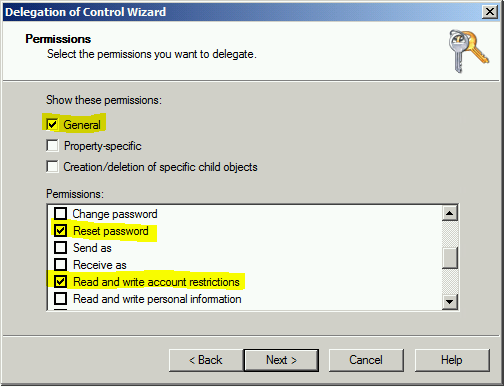 Right-click the container under which you want the computers added, and press Delegate Control. 5. After adding all the users and/or groups, press Next. 6. 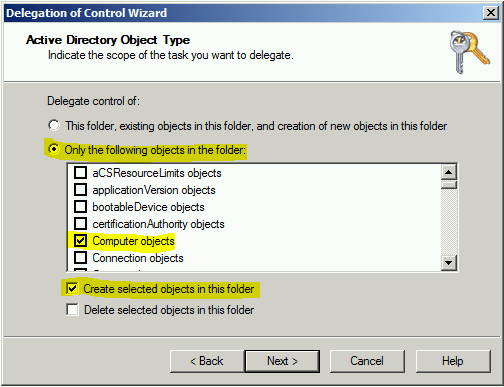 Select Create custom task to delegate and press Next. 7. Select Only the following objects in the folder, check Computer objects, check the Create selected objects in this folder box, and press Next. 8. Check Reset Password, Read and write account restrictions, Validated write to DNS host name, Validated write to service principal name. Click Next and Finish.